Did you know the ability to read by the third grade determines a child’s future? Research shows that in some lo-income communities, there is only one book per 300 children. For children to become proficient readers, they need ongoing access to books and educational resources. To address this gap, Ford is partnering with First Book, a nonprofit social enterprise, to provide 10,000 new books to the North Texas area elementary school children in need. This initiative is part of Ford’s overall education efforts and focuses on promoting reading at an early age. 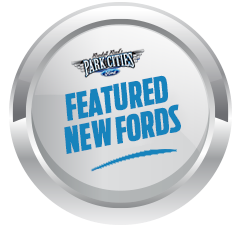 Today, representatives from area Ford dealers including Park Cities Ford of Dallas, stopped by Obadiah Knight Elementary school located just blocks from the dealership and adjacent to busy Dallas Love Field Airport. Communications Director Angela Enright joined other Ford representatives in reading to about 70 five-year olds who are just getting a taste of the sheer joy of reading great books. “Rosie Revere, Engineer” was the book selected to read and it featured a very creative young girl who found inspiration in everyday items, including trash, to make useful things for people she cared about. Each of the kids took home their own copy of the book along with a book bag from Ford. Enright return to the dealership to tell other employees about the reading party. “That’s my elementary school!” said Maricella Villanueva. 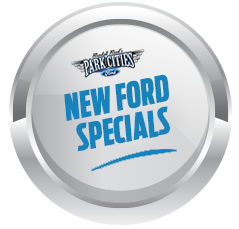 She just joined the Park Cities Ford team this week as its newest Customer Service Agent. Her warm personality, bi-lingual language skills and previous work experience at a local bank made her the perfect candidate for the job. 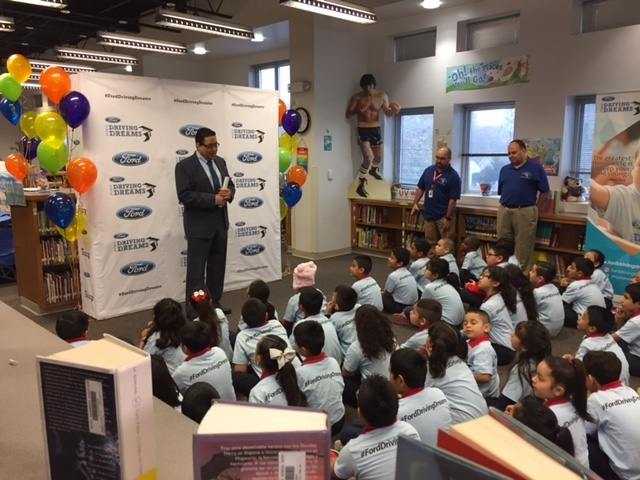 Overall, Ford will distribute more than 50,000 new books to children in need in Detroit, Houston, Miami and North Texas through the 2015-2016 school year.